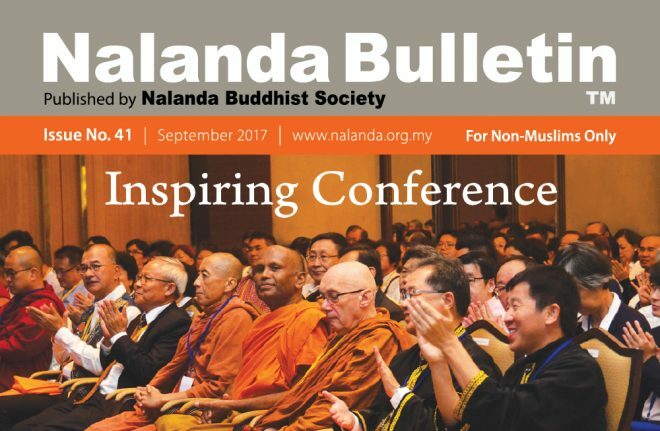 Nalanda Bulletin Issue No. 41 (September 2017 edition) is now available for collection at Nalanda Centre Sri Serdang and our branch centres. This latest issue highlights events in July and August 2017, including the recent WACANA 2017 Conference on discovering the essential Buddha-Word. Get a copy and read the latest news and updates on our programmes. We thank our earnest Publication and Editorial team for producing this bimonthly bulletin for our reading pleasure. Sadhu anumodana!